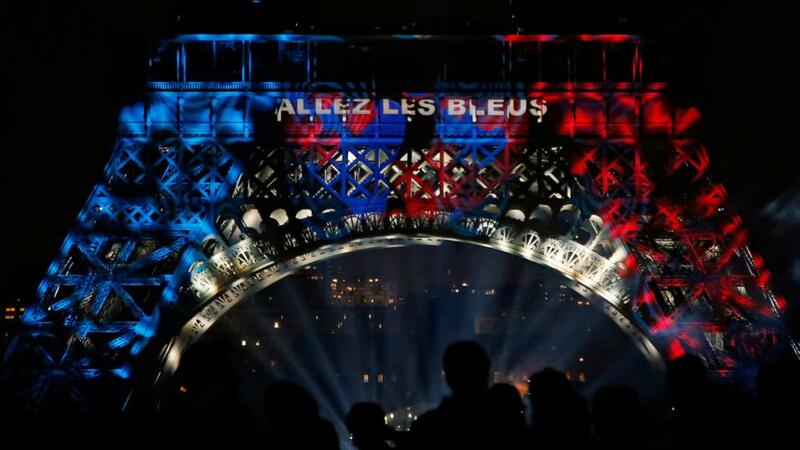 Will France light up the World Cup final? "France have trailed for just nine minutes and 12 seconds at the 2018 World Cup, while Croatia have been behind in all three of their knockout matches." France are [3.45] to win half-time/full-time. The World Cup concludes with a match between a French team that were amongst the favourites to win the tournament and a Croatian side who have surprised many by reaching this stage of the competition. "Didier Deschamps' charges are favourites, which seems about right given the convincing nature of recent performances. France have trailed for just nine minutes and 12 seconds all tournament." Read Jack Lang's France v Croatia preview and betting tips here. Belgium beat England on Saturday in the Third Place play-off, in what was a much more open and exciting game than we are likely to see today. The Belgians won 2-0, but not before an England side that was heavily rotated, had a period of second-half pressure that almost resulted in an equaliser, before Belgium scored the conclusive goal on the counter attack to secure victory. It was a game that both sides looked anxious to win, even if Belgium did seem a little sheepish when receiving their bronze medals. Both Belgium and England were amongst the most entertaining teams at the tournament and are likely to be fancied to be successful at Euro 2020 in two years time. For Belgium that tournament could represent this generation's last chance to win a major honour, with no apparent replacements on the horizon for their ageing defence. England can afford to look further ahead. Most of this squad are young enough to be available at the next World Cup, with some still likely to be in contention in eight years time. Gareth Southgate must now add a further layer of youth to the squad, easing out the current players that are either too old, or not of international quality. For that to happen, Southgate needs young English players to be given a chance by Premier League clubs and hopefully the performances from the likes of Harry Maguire and Kieran Trippier will convince managers that the talent is good enough, if they're just given a chance to show it. France have come in slightly overnight and are now the [1.46] favourites to win the World Cup. One can only speculate as to whether being classed as the [3.1] outsiders, will upset the sensitive Croatians as much as English fans enjoying themselves by singing an old pop song, supposedly did. Michael Cox is on hand with his tactical analysis of the final, Jake Osgathorpe looks at the goalscorer betting, Steven Tudor pits his gut against head, while Rio Ferdinand and Rivaldo give their expert opinion. Harry Kane failed to score in yesterday's match against Belgium, but as his nearest rival Romelu Lukaku also drew a blank, the Spurs striker narrowed to just [1.02] to win the Golden Boot. The only players with a slight chance of equalling his tally of six goals are Antoine Griezmann and Kylian Mbappe, both of whom have three goals and need a hat-trick to draw level with Kane. Mbappe is [75.0] to repeat Geoff Hurst's feat, with Griezmann at [80.0]. More realistic is for either or both of Girezmann and Mbappe to score the goals needed to see them gatecrash the Top Goalscorer - Top Four market. Griezmann at [4.9] and Mbappe at [5.5] need just one goal to draw level with Denis Cheryshev, Lukaku and Cristiano Ronaldo with four goals - with dead heat rules applying - and a brace to overtake them. It seems likely that the result of today's final will decide whether it is Mbappe at [2.28] who wins the Golden Ball award for the World Cup's best player, or if it goes to Croatia's Luka Modric at [3.25]. Other contenders include France's Griezmann at [14.0], N'golo Kante at [18.5] and Paul Pogba at [25.0]. Belgium's Eden Hazard is the third favourite at [12.0] and the shortest price of all the players not involved in the final. What other sport is on today? The men's final at Wimbledon between Kevin Anderson and Novak Djokovic starts at 2pm today. Our team of tennis tipsters have all the best Wimbledon betting advice and insight available here.